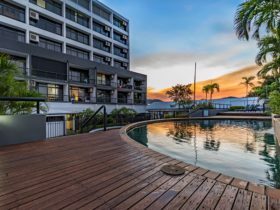 With the option of either a One Bedroom Ocean Apartment or a One Bedroom Garden Spa Apartment, BreakFree Royal Harbour is perfect for couples on a Cairns getaway. 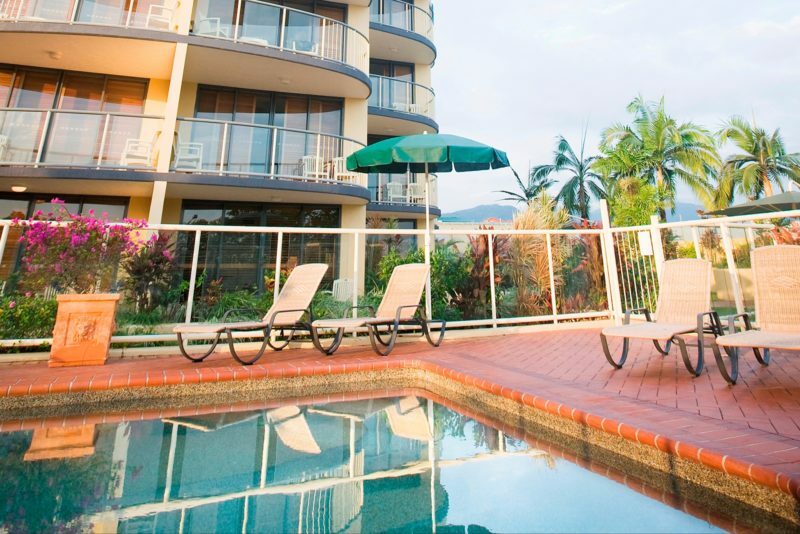 Enjoy kitchenette and laundry facilities, air-conditioning, Foxtel and internet access. You’ll love relaxing in your courtyard or on your balcony at the end of the day, especially if you have ocean views. 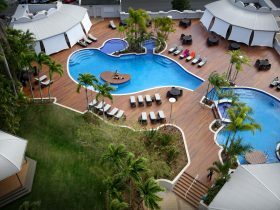 At the resort you will have access to facilities to make your trip that bit more relaxing. Cook a barbecue lunch or dinner at the outdoor barbecue facilities. 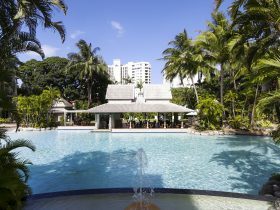 Squeeze in a workout at the gymnasium and then spend the afternoon relaxing in the pool. 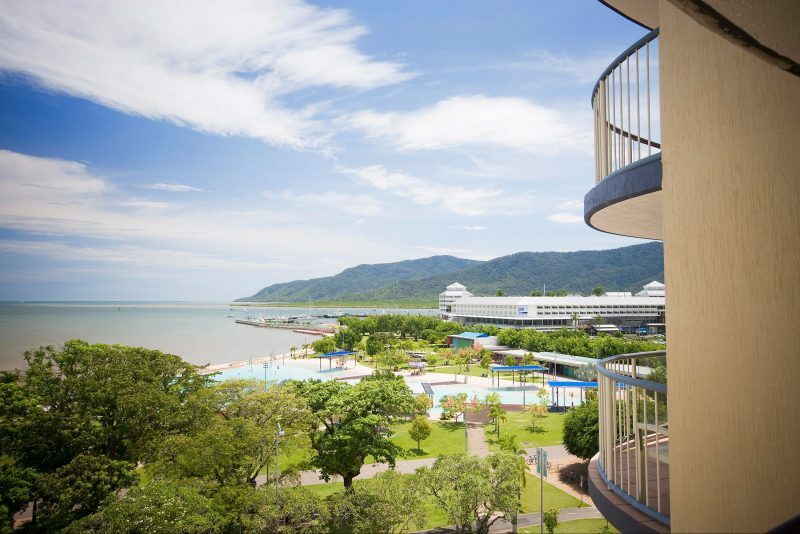 From your ideal position at BreakFree Royal Harbour, you are within walking distance of Cairns Central Business District and the bustling hub of the Esplanade’s restaurants, cafes and shops. 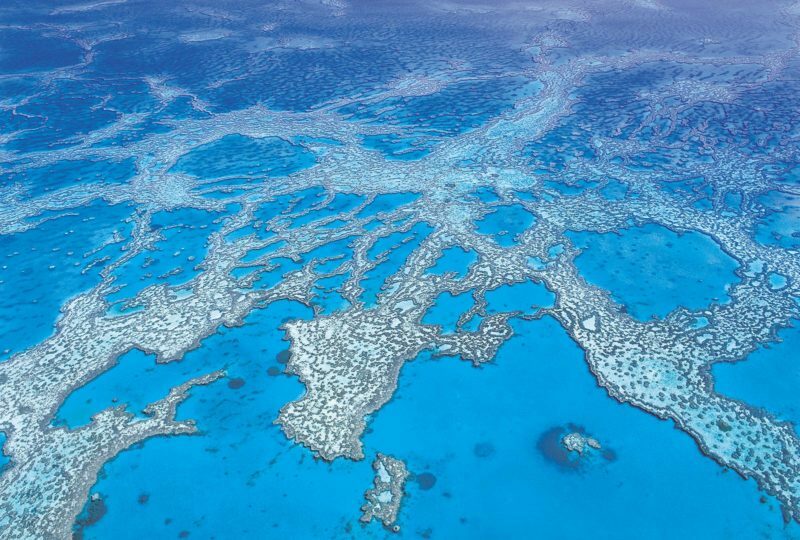 Why not embark on a day trip out to the Great Barrier Reef, get the adrenaline racing with white water rafting or simply explore the surrounding area. BreakFree Royal Harbour offers modern one bedroom apartments, many featuring waterfront views over Trinity Bay. These rooms contain one queen bed, or a zip king-sized bed, or one rollaway bed. 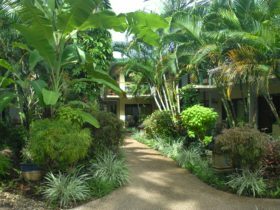 The One Bedroom Garden Spa Apartment is self-contained with a king zip or queen bed, along with a bathroom with spa bath and shower. 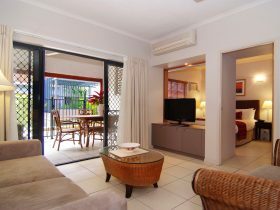 There is also a kitchenette and separate living area, along with a balcony and garden views. The One Bedroom Ocean Spa Apartment is self-contained, with a kitchenette, bathroom with spa bath and shower, along with laundry facilities. 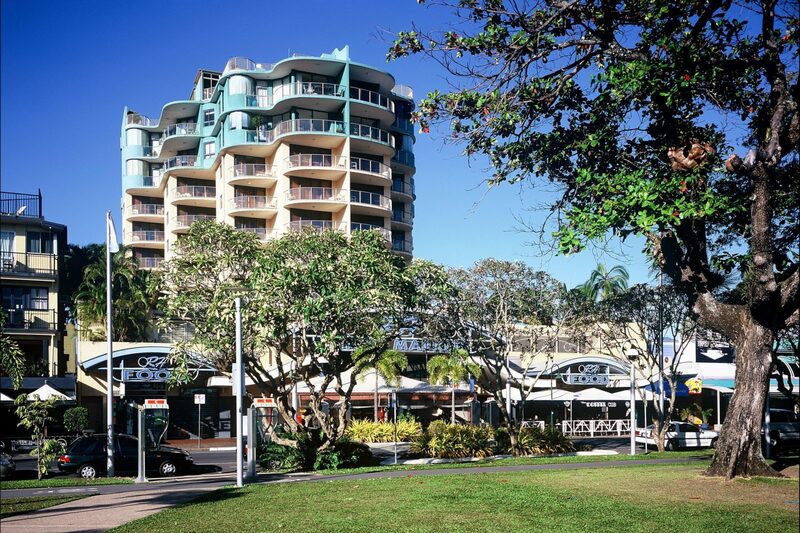 This apartment also features balcony with outdoor furniture and views over the ocean or Trinity inlet. Conditions apply, subject to availability. Block-out dates and minimum night stays apply. 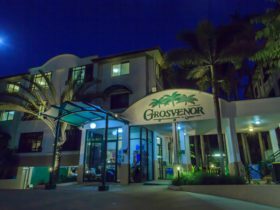 Prices based on per room per night.